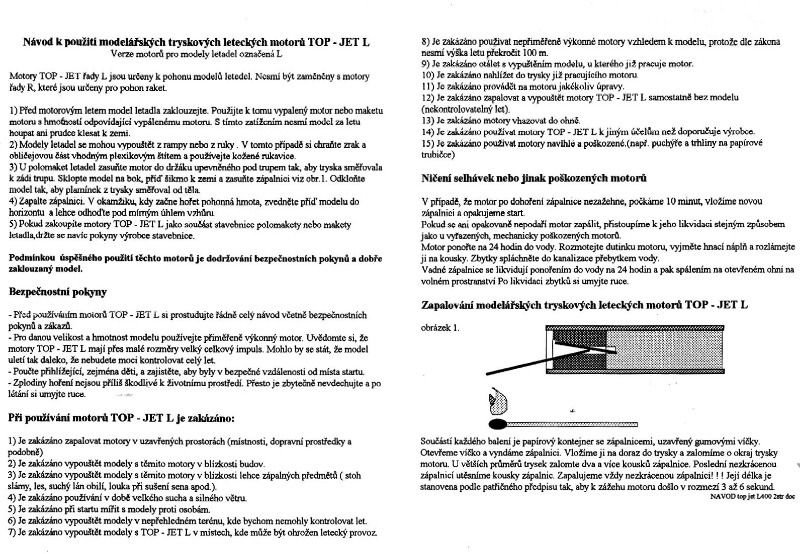 is there anyone out there who knows anything about the 'Top-Jet' motors? 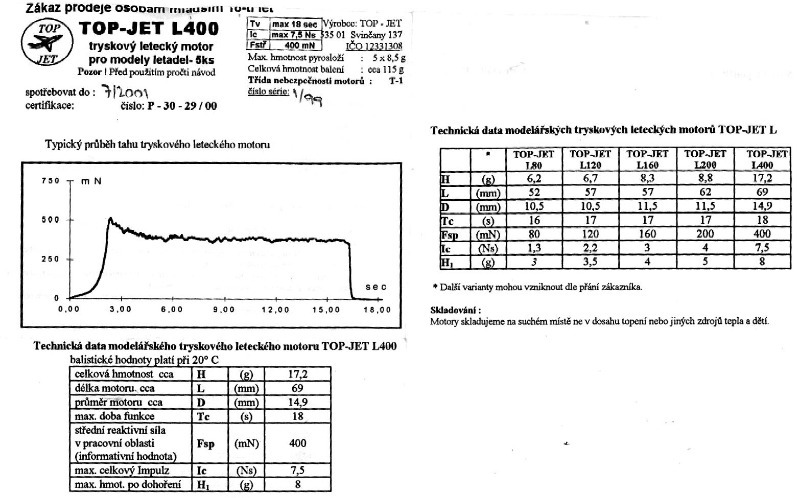 By all accounts they are very similar to Rapier motors and, similarly, made in the Czech Republic. There appear to be equivalents to the Rapier L-1 (80 mN) Rapier L-2 (120-200 mN) and L-3. This is the only info I have - I don't know if they are still made, or whether they were ever available 'over the counter'. So, if anybody knows anything at all about these motors, please tell me!